When you think “metal” and “Brazil” at the same time, the first name that comes to mind is Sepultura. 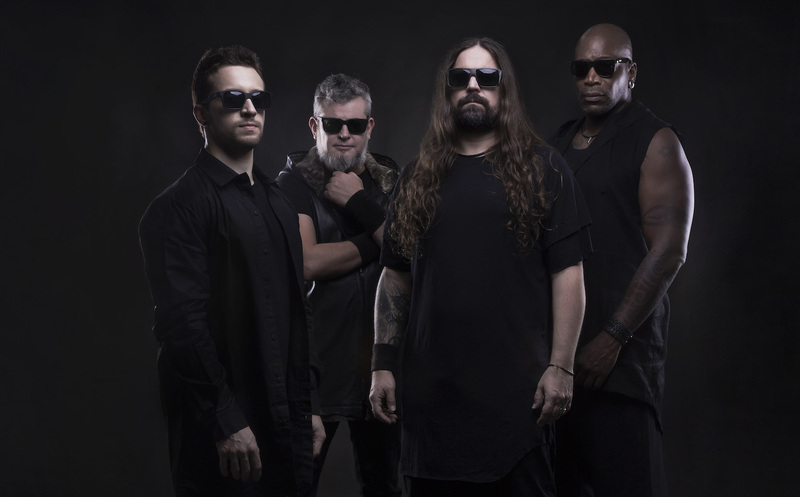 These stalwarts from Belo Horizonte have been in existence for more than 32 years, but unlike some of their peers from the global early-mid ’80s thrash movement, Sepultura are not only more diverse in their musical creations, but are not one to rest on the legacy of their past. They’re still releasing new albums consistently, each one coming with a clear sense of purpose. Their newest and fourteenth full-length effort ‘Machine Messiah’ is set to be released January 13th 2017 via Nuclear Blast Entertainment, and we think it’s one of their finest albums till date. 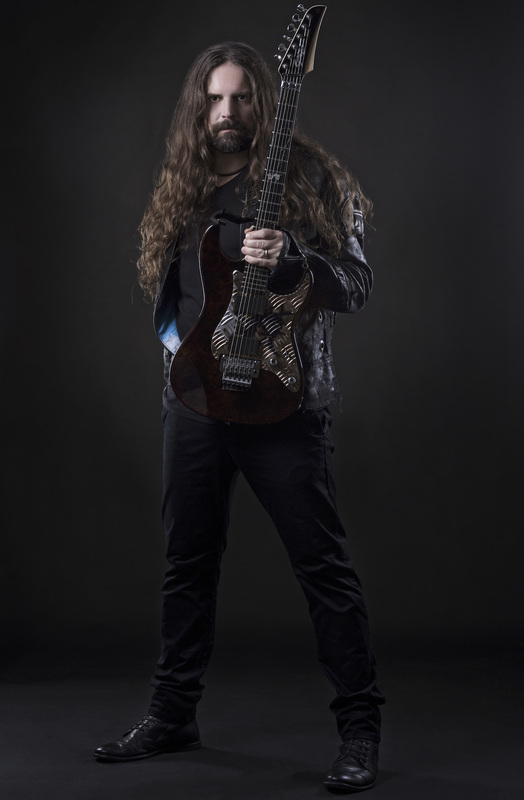 Guitarist Andreas Kisser recently spoke to Metal Assault to discuss the album and more. Enjoy the conversation below, as the ever-articulate and intelligent Kisser opens his mind and shares his thoughts on various subjects. Andreas, it’s good to have you again on Metal Assault. It’s been a while since I talked to you. I think our last interview was for the previous album in 2013. Now you’re ready to release your 14th album ‘Machine Messiah’. What you been going through in these last 3-4 years and how has this album come along for you guys? We’ve been on the road basically non-stop since that album came out in 2013. We did all the festivals, spent almost three years playing everywhere, we released a special single ‘Under My Skin’ in celebration of 30 years of Sepultura. We also put out a DVD from Rock in Rio, where we did a show with Les Tambours du Bronx. And then we prepared the new album, specially in the year 2016. At the beginning of the year, around February or so, we stopped with the touring, went to the practice room and started organizing all the demos that we had, all the ideas, and started developing the album. Then in May we were already in Sweden, recording. So, actually it was kind of quick, the process to do the pre-production and demos. We have many songwriting ideas, and I write music all the time, even on the road. Nowadays it’s pretty easy to record ideas using smartphones and everything. So, it was cool, we went everywhere, we went to places for the first time like Georgia and Armenia, and we played with Steve Vai in Rock in Rio Las Vegas. We had a lot of amazing cool experiences from which we gathered so many new ideas and new information that we felt ready to do a new album. We went to Sweden to Jens Bogren, it was the perfect choice for us, and we are so happy with the result. That’s great to hear. Rock in Rio is obviously a very iconic festival, and a lot of bands recorded their DVDs there. It must be a special feeling to add yourselves to that list as well. Oh yeah, it’s amazing, man. We had the opportunity with Les Tambours du Bronx to do new versions of our music, and we also did some interventions on their music. It was such a great show. Rock in Rio is one of the best festivals in the world, specially because it’s here in Brazil, at home. We can play close to our friends and family, with excellent infrastructure, very professional and well-organized. It is broadcast here as well. We had everything ready for the DVD because we used all the production from the festival itself. Hopefully we’ll have the chance to do it again with ‘Machine Messiah’. On paper, it looks like this album has taken the longest in terms of the gap from the last one, but as you said, it didn’t really take you that long. It was just a matter of you touring more. Yeah, because the first plan was to have an album out in October 2016. That’s why we recorded it in May and June. In the beginning of July, everything was ready, mixed and mastered, with the cover artwork chosen and everything. So, we were ready for an October release, but Nuclear Blast decided to postpone and wait until January 2017, which I think was a good choice for us to give a little more room. We toured without stopping for three years and then went into the studio, so we took more time to relax a little bit, and also to play more in Brazil, certain cities that we didn’t have the time or chance to visit in the last three years. It was cool for us to keep playing on stage but at the same time being near home and family. It was a good time to recharge our family batteries, if you can put it that way (laughs). In terms of lyrical themes, I feel that people should draw their own conclusions and interpret it their own ways. I don’t think a band should have to tell them what the album is actually about, and I wouldn’t ask you that. But when I hear the title ‘Machine Messiah’, to me it may be signifies the fact that the human being is a slave to the machines now. Do you feel that as well, with technology ruling us? We depend on it for everything. Even to get from Point A to Point B, we need navigation. (Laughs) It’s true, man. It is the point that we are making on this album. Where is that balance between being human and having the robots as part of our lives? People are getting lazy because robots in a sense are doing stuff for us, and not really helping us develop ourselves as better human beings. They’re not letting us increase our capability to use our brain in a much more active way, connected to nature. So, it’s not a sci-fi futuristic idea, as you said. Everything is here now, with what we see in smartphones, GPS, Google glasses, chips under your skin, etc. Even in the concerts you see most of the people filming and using their phones and losing the moment of being there, to interact with the band and friends. We try to make another wake-up call with this one. Let’s pay attention where we’re going with this, how healthy and how positive is the robotic intervention in our daily life. It is affecting everybody, regardless of culture or the place you live. It’s something that we deal with today and it’s not a consequence of an imaginary situation. It’s the reality. I agree with that. Although, having said that, we wouldn’t be talking right now if it wasn’t for Skype. But there should be a balance. (Laughs) That’s true. But yeah, it’s inevitable. Robots have been part of our lives for far long, more than hundred years I would say, starting with the industrial revolution. Our last album, ‘The Mediator Between the Head and the Hands Must Be the Heart’, was very much influenced by the movie ‘Metropolis’, and we touched on the same subject: don’t lose your heart, don’t lose your human ability to question, provoke and to say No! A robot receives information in its head and acts accordingly without questioning. We shouldn’t be a robotic entity (laughs). We should be humans, be ourselves and have the ability to create our point of view. ‘Machine Messiah’ goes a little further than that, and talks about how or when is this balance healthy or bad for us. We don’t want to be slaves. We want robotics to help us enhance our abilities as humans, and not the opposite. Absolutely. Talking of the music itself, Nuclear Blast sent me the promo download and I was listening to it, and I feel that it has the classic Sepultura vibe but also a modern touch to it, which is very relevant for the year 2016-17, and it also fits the lyrics. Would you say that the music was written according to the lyrical concept? Very early in the writing process, I had the name ‘Machine Messiah’ already. It was there from the beginning. When we were putting together the first riffs, drum loops and the first demos, and going to the practice room to develop the songs, we already had the name and the concept to talk about robotics. Another approach that helped a lot to build every song and to build this concept of the album was to write as if we were writing only for vinyl, thinking about the opening of Side A and Side B, which songs should close Side A, etc. That kind of stuff was so important in the early days. When we wrote albums like ‘Schizophrenia’, ‘Beneath The Remains’ and ‘Arise’, we had 8-9 songs and we could build an album with those limitations. That also helped us to really give a real special identity to each song, because they bear a specific track position on the album. It gave a really strong characteristic to each one of them. That’s what we tried to do on ‘Machine Messiah’ as well. That’s interesting, man. The one thing most noticeable about the band is, you’ve been able to keep a consistent level of output throughout the years. This is your 14th album, and it hasn’t taken more than 2-3 years for each one. That’s pretty commendable, and I cannot really say that for a lot of bands that have been around for this long. How do you keep up with that kind of output and get new ideas all the time? It’s just what we do, I guess. We always keep our minds and ears open. We have the privilege to travel the world, man. We go places all the time, we visit countries for the first time, we meet new people, experience different foods, music, art, books, and even sporting events and parties. Everything and anything can be a musical influence, specially if it’s not a musical thing. These experiences are a very rich source of information. To be in a band like Sepultura is a privilege, to have that capability and the possibility to travel so much and play so many places, to have such a great label as Nuclear Blast, to have a lineup like this. This is very motivating. I do what I love, and I couldn’t really ask for anything else. It’s fantastic. Every time we put an album out, we have something new to say, of course. That’s why our albums are so different from each other, and we choose different producers specifically for that reason, to bring new elements, to get away from that comfort zone. We need to take risks to do something new, otherwise it’s not an artistic expression and we’d just be copying ourselves and not moving forward. So, it’s great to have challenges in front of us, work with different people, to go to new studios in different countries. That unknown factor is really important and exciting in any artistic project, and it keeps us motivated to do new things. You said that traveling the world gives you most of the motivation to do what you’re doing, and to write new music. Imagine that you were just a studio project where you were just having to sit at home and write albums, you probably won’t be able to do it, right? No, not at all! It would be like an office job for me in a very bad sense (laughs). Music is all about being on stage, and all the rest is a consequence of that. Albums, traveling, interviews… all that stuff comes together with being on stage. That’s where everything happens. That’s where you grow up as musicians, that’s where the music is alive, it is the now, the moment, the present. That’s where we develop and grow up as a band. So, the stage is everything, and again, it’s great that we have the privilege to go everywhere. 32 years into our career and so far we’ve been to 76 countries. It’s an amazing mark, and like I said, we get so many new influences and so much new information from it, it keeps us very fresh with new ideas and very motivated to play and do stuff. Exactly, man. So, recently I went to a concert in Los Angeles, to see the progressive rock artist Steven Wilson, from Porcupine Tree. He made a really great point that resonated with me. He said that nowadays a lot of bands take so long to release albums, like 6,7,8 years or even more in some cases, so if the album doesn’t do well they’d probably never make another album. 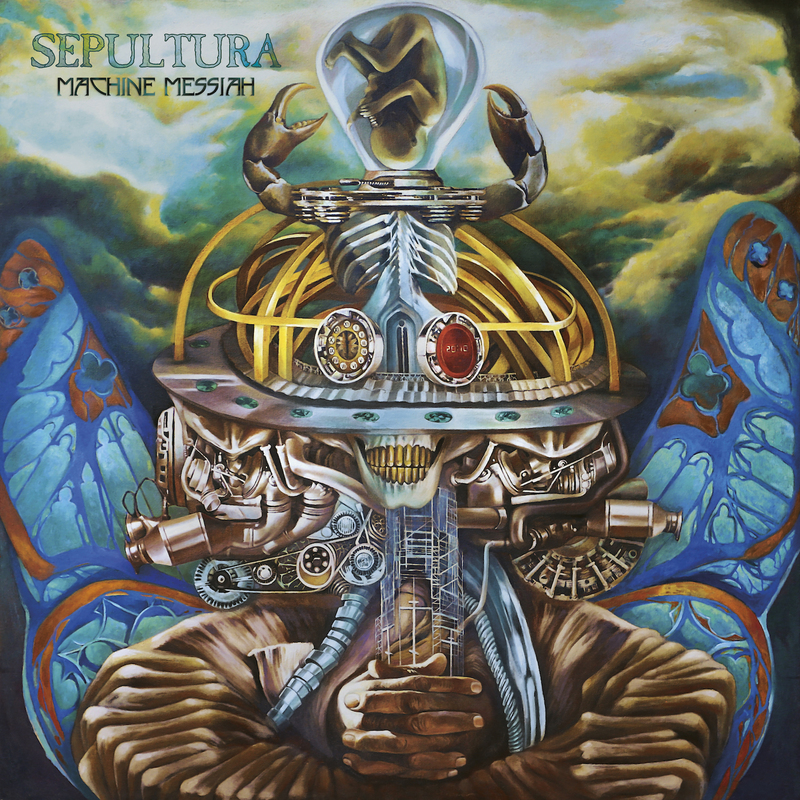 In the case of Sepultura, you put out an album every 2-3 years, so even if fans don’t like it, there will be another album soon, and I think that’s great. Do you agree with that? Yeah, I think three years is a nice time frame. We’re able to travel the world, like we did on the ‘Mediator’ tour. In three years we went everywhere, all the continents, and it takes time to travel that much. Three years is actually the minimum we need to visit everywhere and do stuff. Doing that, we gather information every day. It’s very exciting to go to new places, and even places that you know so well, like Germany and London where we play so many times. But every time you’re in London, it’s a new experience! It’s London, one of the most important and influential cities in the world and everything is happening there at the same time. It’s always exciting to be in a city like that. So, it’s something that we give great importance to, to keep that alive and well. We respect our past so much, but we live in the present. We’re not locked in the past, we’re here now. Respecting our past and living in the present to build a future. So, it’s great to be here right now (laughs). I definitely hope that people will like the album when it comes out on January 13th. Aside from the album release, you already have some tours announced,. The North American run with Testament is going to be great, I’m sure, and that’s an amazing lineup with Prong opening. What else do you have in the works? Oh yeah, the Testament tour is going to be awesome. We also have a Europe tour with Kreator, Soilwork and Aborted in February-March, then we go to the States with Testament and Prong, and then the summer festivals in Europe. We’re already announcing confirmed dates, but there’s a lot more to come. It’s going to be a busy year for us and we’re very excited about all the possibilities that we have with ‘Machine Messiah’. We’re very happy with the result, and very anxious, actually, to put it out and see what happens.